WordPress is the most popular Content Management System in the world and it brings with it ease in development. There are loads of features offered by WordPress which makes the web development experience a lot easier. While uniqueness is key in a world of constant change and innovation like the corporate one, nothing about using wordpress business themes runs contrary to this uniqueness. 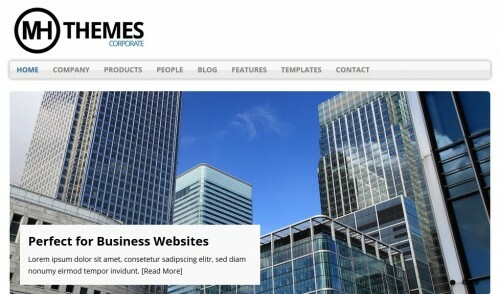 In this article, we have compiled a list of best WordPress corporate free themes. All themes are licensed under the GPL license, so you can modify, make changes and customize the themes all you want. If you feel that we have missed any templates that is creative and as the wow factor then let us know in the comments below. We hope you enjoy the read. Let us know in the comments what you think. Alhena is a responsive clean and corporate WordPress Theme. The theme support all modern browsers like Firefox, Chrome, Safari, Opera and Internet Explorer 8, 9 and 10 and uses the most modern technologies like HTML5 and CSS3. Add different sidebar for each page and post, you can use our custom or default widgets on each sidebar. 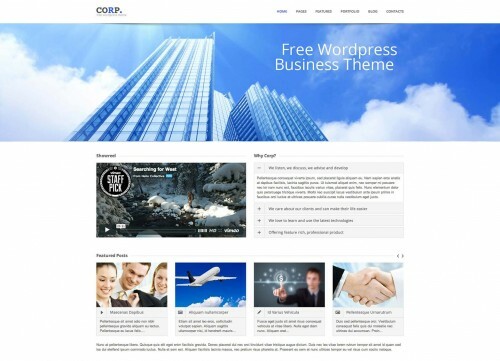 Corporate is a free WordPress theme and as the name suggests was developed & designed for corporate style (business) websites. The theme is well coded and bloat free making it super easy to use, customize and will also load very quickly. Corporate is the perfect theme to build your business website or personal portfolio. 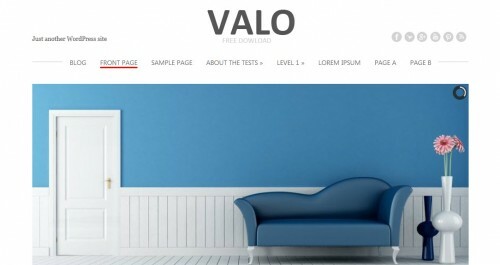 Valo is a free business website template. It comes with a simple and clean design. Just like most popular themes, Valo comes with a large slide area. In addition, it provides three featured image areas to showcase more products and service information. As a simple and clean theme, Valo is good for blogging and small business. 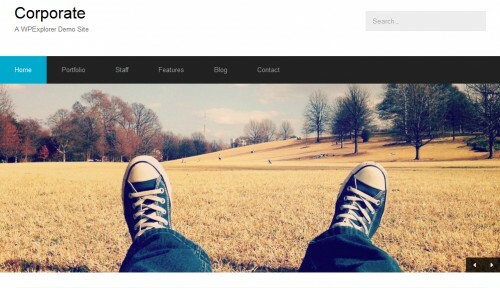 Prestig is an amazing free WordPress theme that can be used with any type of content. Easy to use administrative panel, custom widgets, an eye catching related posts and lots of other powerful features provide a great base to build on. Gravinem is a perfect choice for those looking for a business WordPress theme. This theme boasts easy-to-use admin options and many custom widgets. Features: Ecwid Supported, WooCommerce Supported, Dynamic Content Loader, Custom Sidebars, Google Maps Shortcode, Responsive Web Design, Custom Widgets Ready, Social Share Bar, Shortcodes Ready, Contacts Page, Translation Options, Slider Ready, SEO Optimization and more. Pytheas is a fully responsive/fluid WordPress theme for corporate, business, portfolio style websites. Built without clutter and with a minimal design its a great solution for either small websites or as a starter theme for a more “graphical” or elegant theme. This theme includes the wpml-config.xml file required for the WPML plugin to easily translate your theme options. It also includes a default .po and .mo file so you can easily and quickly translate the theme into your native language. Adapt is a free responsive business WordPress theme. The theme features a very clean and elegant business portfolio style design making it useful for small businesses, agencies, portfolios and more. Overall the theme is very minimal and super easy to setup. It comes with built-in post types for your portfolio, homepage highlights and homepage slider. This makes adding your content a breeze. If you can add blog posts, you can add items to each of these custom post types. MH Corporate basic WordPress Theme is a clean, modern and fully responsive free business WordPress theme with a light and minimalistic styling, which is perfectly suited for corporate and business websites. This flexible business WordPress theme is ideal to promote your products and services or to run a corporate blog. 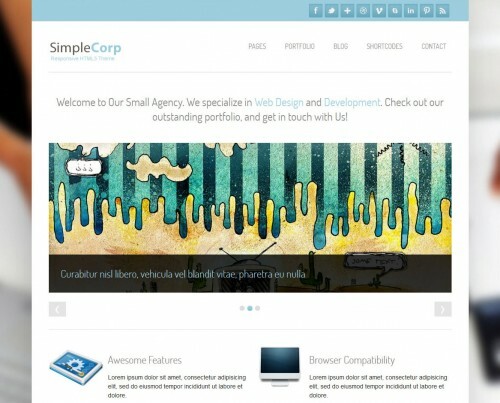 Simple Corp is a responsive HTML theme by Site5. It includes plenty of time-saving features, so there’s no need to go hunting around for plug-ins. The contact page includes a built-in contact form and a large Google Map. Multiple color styles can be easily accessed via the color options tab. 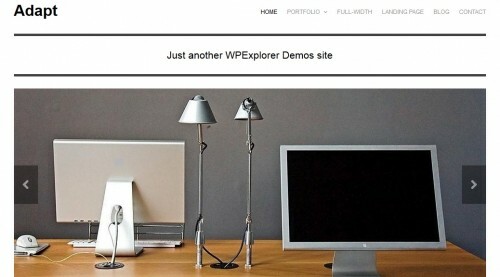 A good use of this WordPress theme could be to update a corporate website with a fresh vibe. Everyone loves a good WordPress theme. Whether you use it straight out of the box, or as a starting point for your own design, themes are a great way of achieving results quickly and on a budget. The simple grid layout provides an ideal frame to hang your content on, it’s ideal for corporations that need an online presence in a hurry, or as a starting point for any business whose brand image projects organization. 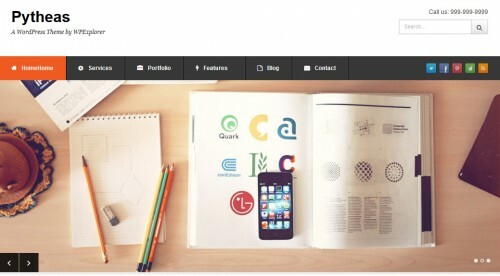 BusinessFeed is beautiful WordPress theme for personal web pages. This is a complex wordpress themes with lots of useful features like custom widgets, feedback form, slider, video supporting and many other.